As I’ve talked about before, I’ve had fairly bad anxiety for most of my life. It varies in degrees, going from panic attacks and can’t-get-out-of-bed vibes to a mostly tolerable, niggling background feeling, but it’s almost always there. Because of this, I’m extra motivated to take care of my gut, which contains tons of nerve endings that travel directly to your brain. Your gut is often thought of as your second brain for this reason—you know those butterflies you get before you speak publicly, or the upset stomach that comes from a terrible day at work? That’s your gut and your brain interacting. 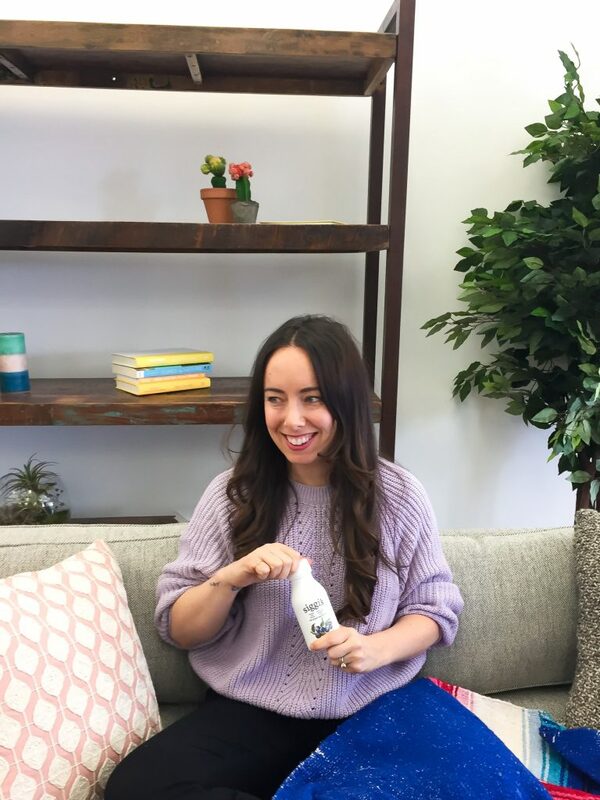 I’ve tried almost everything to heal my gut, from drinking bone broth regularly to taking probiotic supplements to eating raw sauerkraut (not super delicious, and it gave me canker sores! ), with various degrees of success. When siggi’s debuted their new line of single-serve, whole-milk drinkable yogurt, I was excited to try it. Filmjölk (siggi’s drinkable yogurt) is essentially Scandinavia’s answer to kefir. Like kefir, the bacteria metabolize much of the lactose in the drink, making it tolerable for even people who are mildly lactose intolerant (like me!). I’ve mostly avoided dairy for years for a number of reasons—I find it’s pretty hard on my stomach, and many yogurts and other dairy products are absolutely packed with sugar. siggi’s, though, has really simple ingredients (only five, and all easily recognizable and pronounceable) and not a lot of sugar. Plus, it has 8 grams of protein and 10 billion probiotics per serving. Probiotics, for those of you living under a rock, are all the rage these days. Having a healthy microbiome is absolutely essential to good gut health, good general health and a happier mind, but many of us—due to the overuse of antibiotics, the toxins we take in daily, and terrible diets—aren’t doing well in this department. Probiotics re-populate the gut with good bacteria, which fend the bad guys off. You always want to look for live active cultures in the billion (yes, with a b) range, which siggi’s has in spades. I’ve been super busy these days with work and my book coming out (!!!) and I’ve found that the convenience of having something high in protein and good fat to tide me over is clutch in getting through these long, rushing around days. 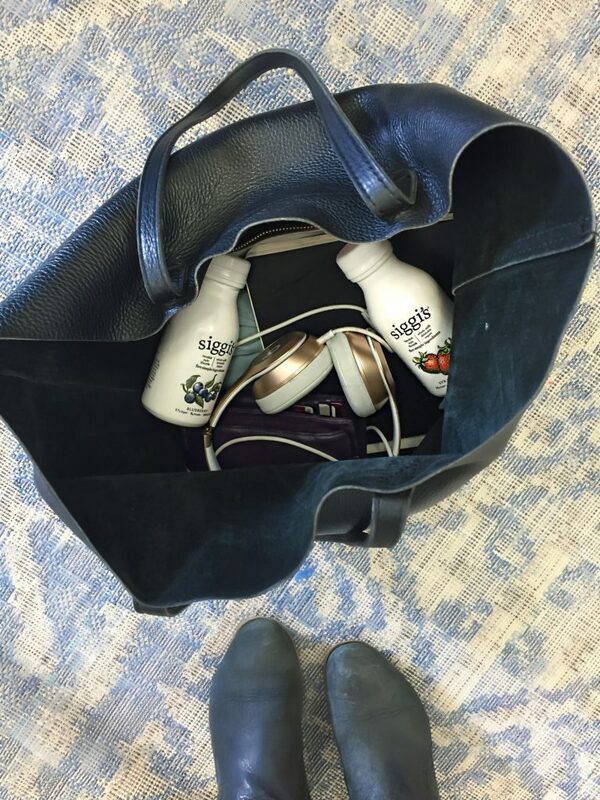 I now have a stash at the office and a stash at home, and in those times I’m getting hangry (you know the feeling! ), I have something satiating in my belly in less than a minute. Flavor-wise, I find that filmjölk is a bit less tart and more buttery and creamy than kefir, which makes it easy to both consume on its own and eat topped with granola or fruit as a quick morning breakfast. siggi’s comes in three flavors, but I’m partial to the blueberry. I love reaching for blueberries as a power anti-inflammatory food. Inflammation is at the root of so many problems these days, and have a super calming effect on the mind, body and soul. Plus, the blueberry tastes really good. I meditate every morning. I tried to meditate for years without getting it to stick, using mostly apps. Recently, I took a Vedic meditation course with Ben Turshen, and since then (about three months), I’ve managed to do 20 minutes almost every single morning. I’m not sure whether it’s having the mantra and structure of the practice, or the simple investment of time and money in a class that serves as extra motivation, but it’s done wonders. After I meditate, I feel calmer and more focused all day long (I even find myself fighting with Zack in a more constructive way!). Less anxiety = less stomach issues and a happier me. I eat prebiotics. Prebiotics are just as important as probiotics, as they provide the food the probiotics need to survive. Good sources include Jerusalem artichokes (or sunchokes), garlic, onions, asparagus, celery (if it’s a stalky, fibrous vegetable, you’re probably on the right track). 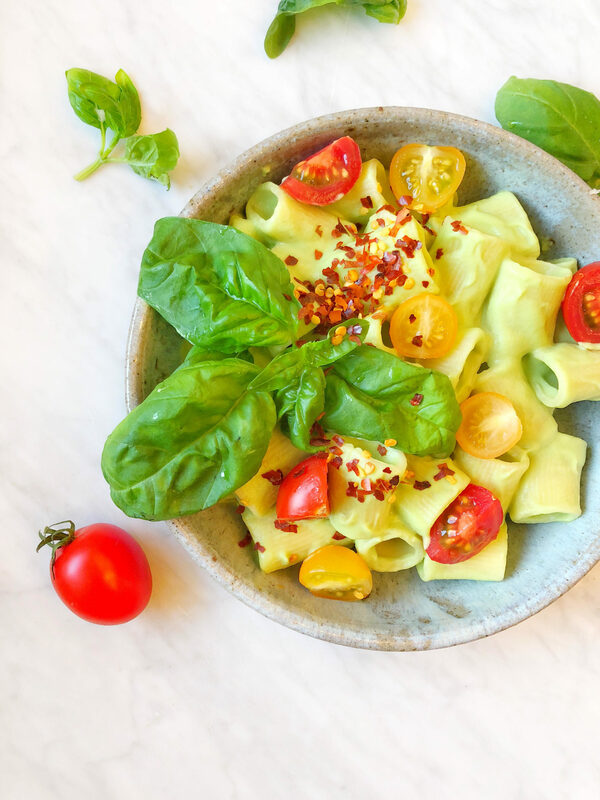 One of my favorite tips is to add garlic to my meals just at the end, so the flavor mellows but the prebiotic nutrients stay mostly intact (here’s a recipe to try it yourself). I take magnesium supplements. Most people are deficient in magnesium, which is a crucial mineral to keep us calm. I take two capsules at night, or I have an Epsom salt bath with lavender oil, an evening ritual that I absolutely love. Both leave me calm and ready for a great night’s sleep, which is vital for gut health and anxiety. I eat a LOT of turmeric. Many modern diseases start with inflammation, and an inflamed gut can lead to anxiety, stomach problems and worse. Turmeric is my absolutely favorite anti-inflammatory food, which is why you’ll notice me cooking with it constantly (my turmeric muffins are a weekly staple). Whenever you eat turmeric, make sure you’re consuming it with black pepper and a healthy fat (like coconut milk or oil), so you make it maximally bio-available. I minimize my sugar consumption as much as possible. You know that hyped up, jittery feeling you get when you eat something with a ton of refined sugar? That’s your gut and your mind telling you they’re not happy! Sugar actually kills the good bacteria that are found in the gut. I have a total sweet tooth, which is why I love the siggi’s drinkable yogurts—they’re just sweet enough to quell my cravings, without being too sugary and making my body react poorly. I spend time out in the real world with friends and family. My anxiety absolutely spikes when I spend the day inside by myself, so even when I’m low energy, I force myself to at least go for a walk around the block. Even better, I’ll walk with a friend. Anxiety is inherently narcissistic (you’re thinking, what’s going to happen to me?) 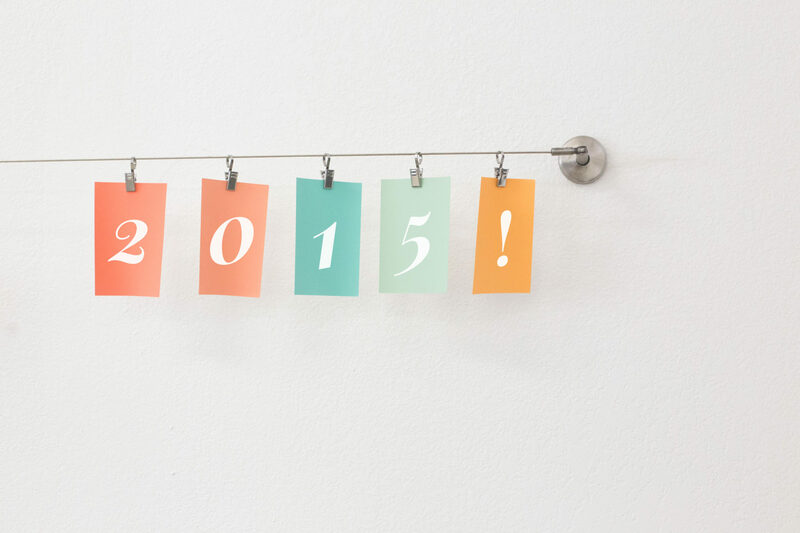 and future-focused, so the more you can focus on other people and the present moment, the better off you are. Those are my top tips! 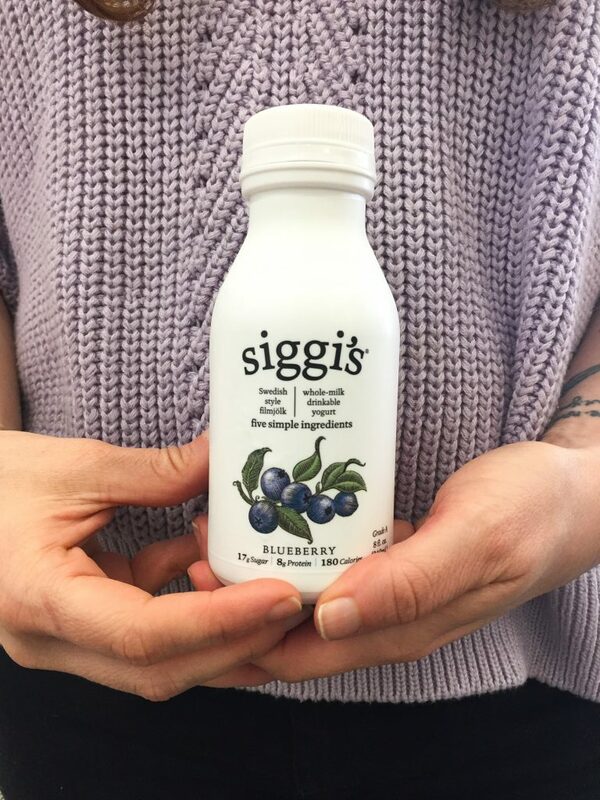 Have you tried siggi’s drinkable yogurt? What did you think of it? Do you struggle with gut health or anxiety? What do you do to take care of yourself? This post is sponsored by siggi’s, a brand I regularly consume and really enjoy. Thank you so much for supporting the posts that let me keep Sprouted Routes around! 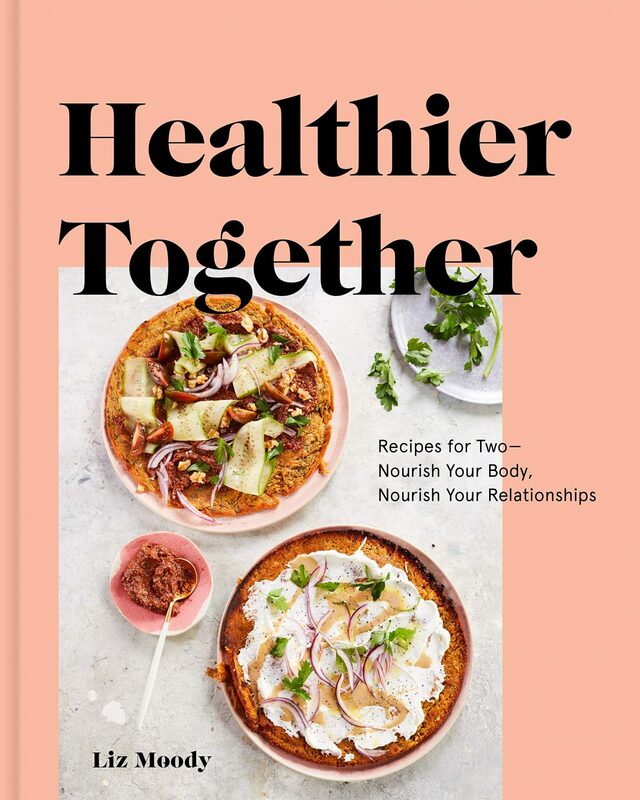 If you like these recipes, you’ll LOVE my new cookbook, Healthier Together. Featuring 100+ recipes, including Actually Delicious Green Detox Soup to healthy Fun Size Snickers Bars and The Best Healthy Chocolate Chip cookies, and an entire “Fast, Cheap, & Easy” section devoted to weeknight meals, this is a cookbook that makes it easy to get healthier—and more importantly, happier. Liz, l can’t agree with you more that turmeric is the best anti-inflammatory thing ever! 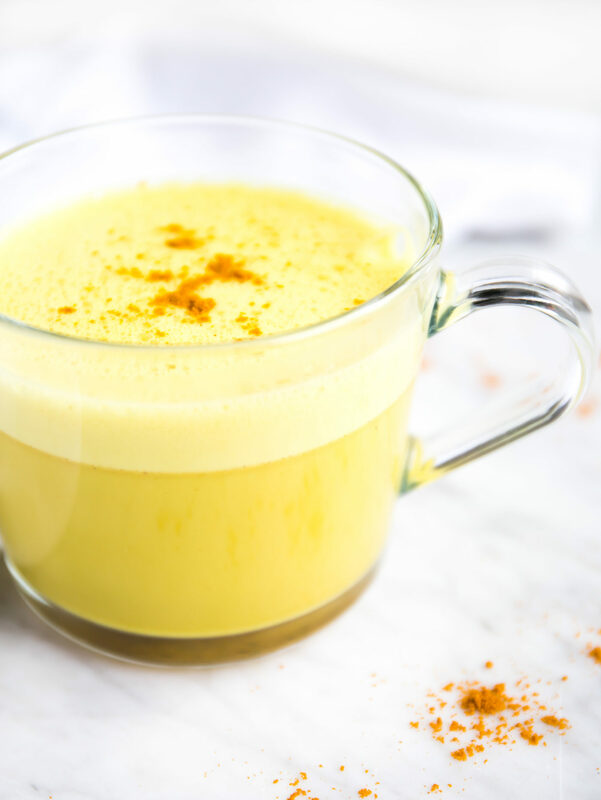 I actually got introduced to it by your turmeric late recipe and it’s now a part of my morning routine everyday. This post got me a new idea: that cooling, calming turmeric gives could lead to a great meditation experience too! Have to try this combo. Get my free guide to making perfect green smoothies. Plus weekly wellness product picks, my top takeaway from the week’s podcast, AND never miss a healthy recipe.